Enjoy a full-day excursion and admire the natural beauty of Manavgat River and Waterfall! 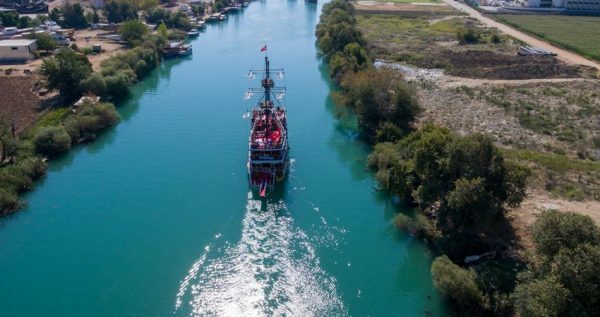 Side Manavgat Boat Trip is an ideal excursion for those who seek unique natural sights, a boat trip and city exploration. Participate in an all-in-one excursion and get amazed by the unique landscapes. 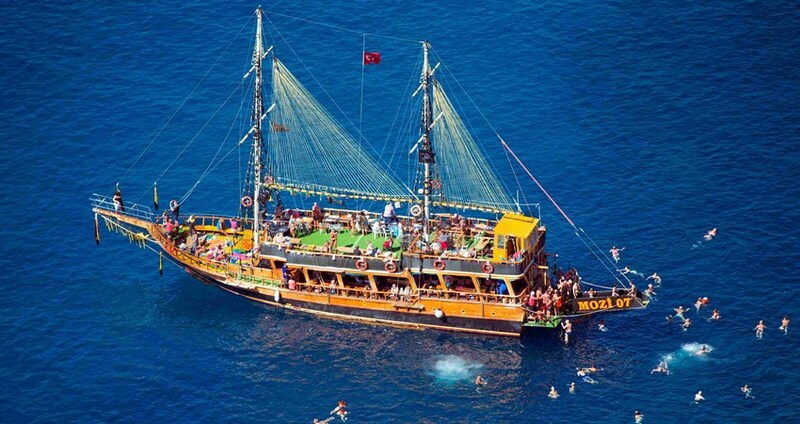 A relaxing, yet adventurous day trip is what you should expect with Side Manavgat Boat Trip. 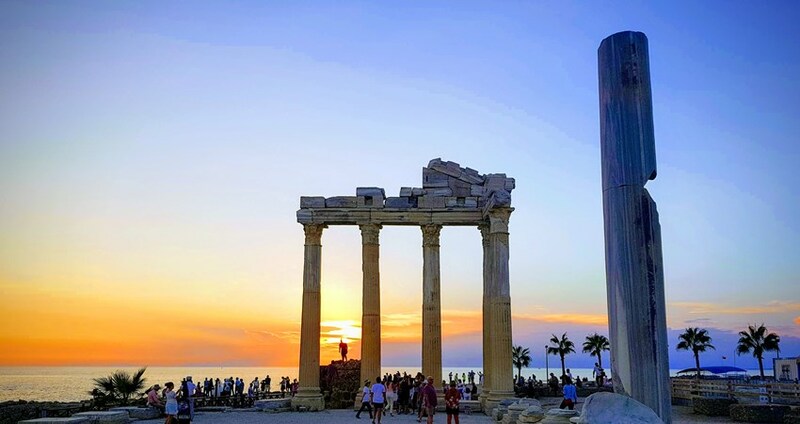 In the morning, a comfortable vehicle will pick you up from your hotel and drive you towards the Kumköy shore, where the departure point of the boat is. 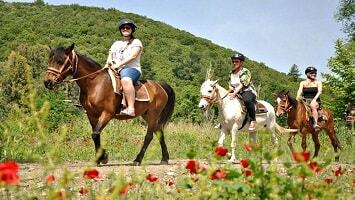 Throughout the excursion, you will be accompanied by professional and experienced guides. They will be giving you important information about the programme and the locations you will be visiting. The boat is specious and has sunbathing beds for your comfort. 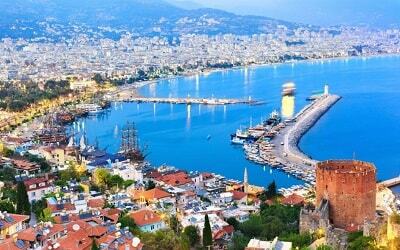 While sunbathing, you will get the chance to see the ancient Side port and the ancient temple of Apollon. A short break for swimming is scheduled once we reach the point where the Mediterranean Sea meets the water of the Manavgat River. That point will amaze you since cold river water meets the warm water of the sea. After swimming in these unique waters, launch follows. On the boat you will taste a delicious menu consisting of chicken or fish, rice, salad and bread. The excursion is then divided into two according to participants’ interests. A group will follow a guide towards Manavgat Waterfall while the other group follows a guide towards the city centre. It is good to note that entrance fee of the waterfall is charged as an extra. Once the waterfall tour is done, participants will be then transferred to the city centre to spend some free time. 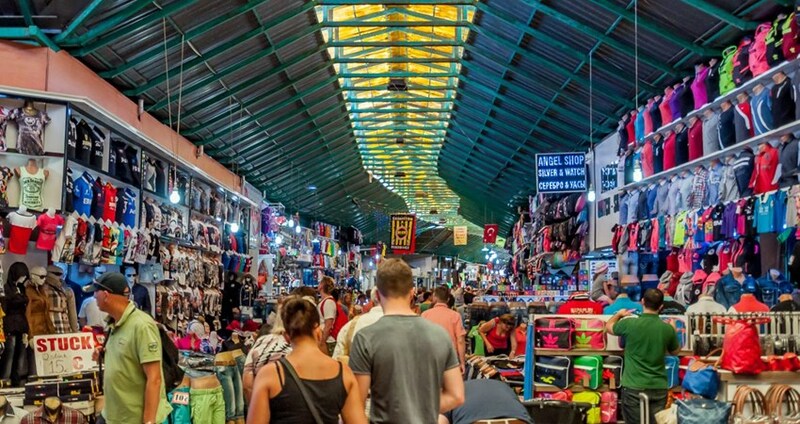 In Manavgat town center there is a bazaar where you can simply do some shopping or get break at a local cafeteria. At a scheduled time, all participants in the excursion will have to reach the meeting point as indicated by the guides. The boat continues on its way back with a 30-minute swimming break. During the break you can swim or take some really nice pictures. Arrival to Kumköy is set around 17:30. From there, a vehicle will transfer you back to your hotel. This excursion is the most popular boat trio in the area of Side. After your boat trip you will be full of amazing new images from your full-day exploration. You can check all avaiable Side Excursions from here. Side’s most famous boat trip awaits you! 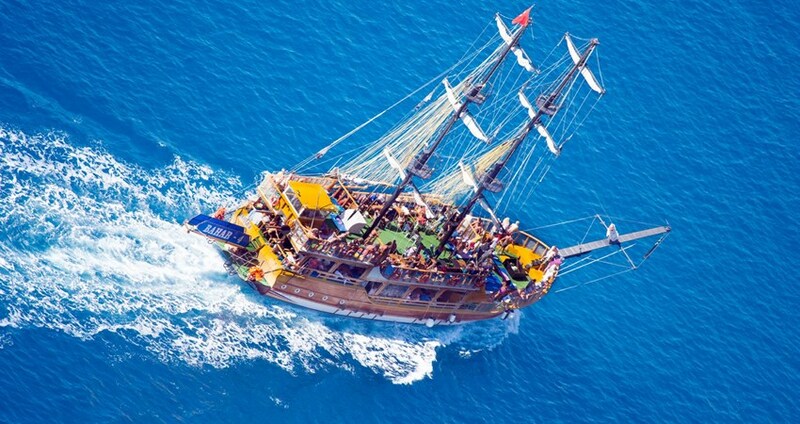 An amazing boat trip in a spacious pirates’ boat, unique natural and ancient sights are some of the things that you will see during this excursion. 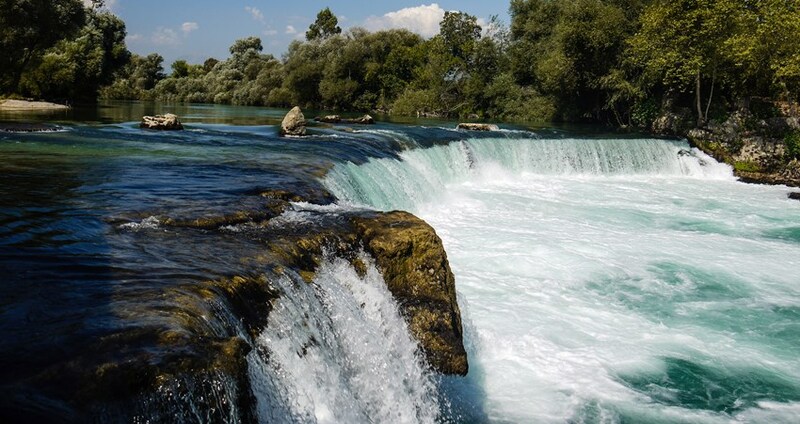 Explore the city of Manavgat and visit the waterfall for an unforgettable experience. This full-day excursion is the perfect option as it combines all interesting points in one. A comfortable vehicle will pick you up from your hotel during the morning. The bus will drive you towards the boat’s departure point at the shore of Kumköy. The boat is the ideal for this excursion. It’s a 3-story pirate boat with a spacious interior. There are also sunbeds for the sun seekers where you can relax during the trip. 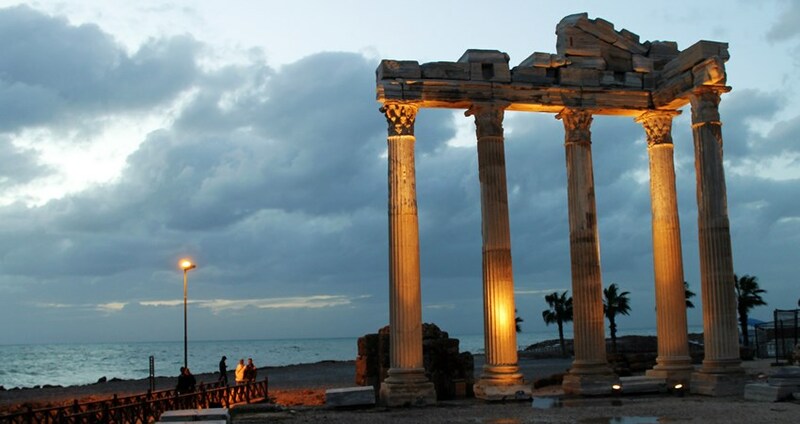 During the boat trip you will have the opportunity to see the Ancient Temple of Apollo. The Temple was built during the 2nd century B.C. Take the chance to snap some really good pictures of this Temple. 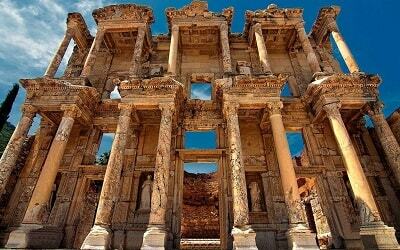 In addition, you will have the chance to see ruins of the Ancient Side Port. 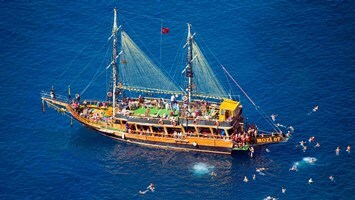 During the boat trip, a swimming break will be made at the point where the Manavgat River meets the Mediterranean Sea. This location will amaze you due to its natural beauty. In addition, it will be a unique swimming opportunity since the cold river water meets the warm sea water. There is a golden sand beach where you can walk and enjoy the sun. The location hosts river turtles and big sea turtles often appear. After lunch on board, guests who wish to explore the picturesque Manavgat Waterfall will be following their guide. Entrance to the Waterfall comes at an extra charge. 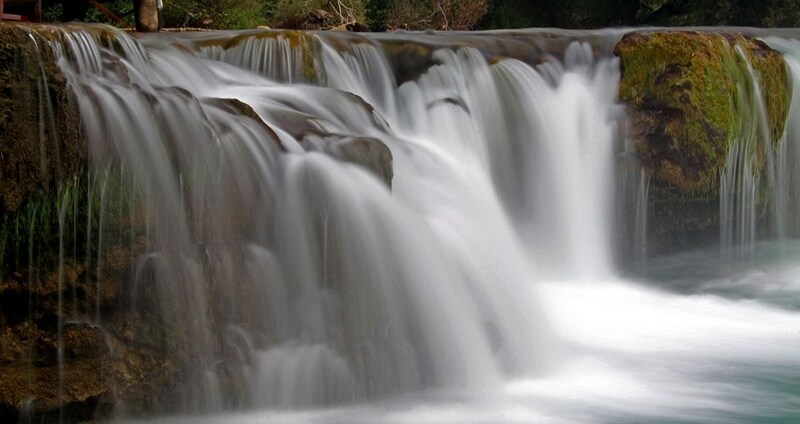 This Waterfall is one of the most famous natural landscapes of Anatolia. The water flows in a 4-meter height and ends up in an emerald river which is surrounded by trees. Enjoy some breath taking views over the Waterfall and take some amazing pictures. 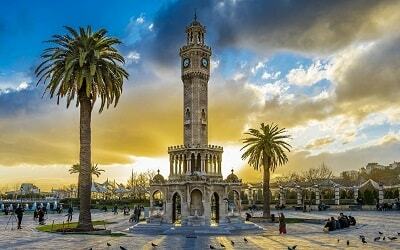 Then, you will be transferred to Manavgat city center. If you are not participating in the Manavgat Waterfall visit, then you will have some free time to explore the charm of the Manavgat’s city center. 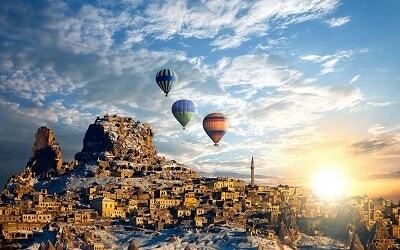 The city is a great example of a typical Anatolian town. There, you can find small shops, restaurants and cafeterias. You can also visit the bazar where local people sell their products. 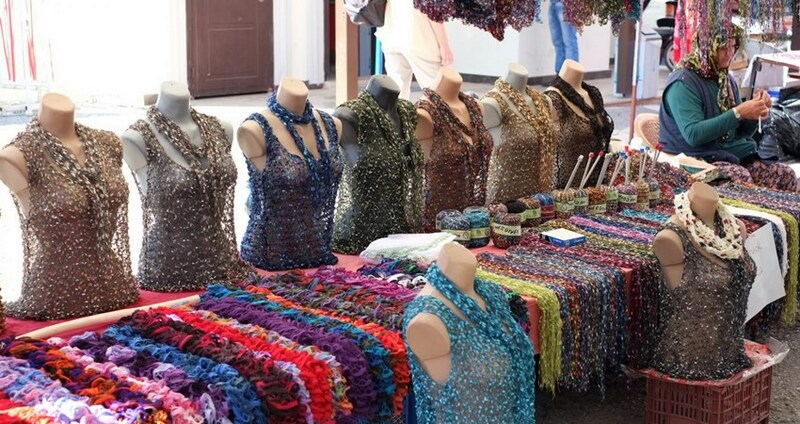 At the bazar, you can taste and purchase fruits, handcrafted products as well as clothes. Once the free time is over, you will meet your guides at the meeting point to continue your return trip. During afternoon a vehicle will drive you back to your hotel full of memories.